Move over Frozen, Moana is here! We took our family to see Disney's Moana over Christmas break. What we discovered was an amazing tale of Moana of Motunui, a young girl who is destined to be chief of her island, but longs to for the sea. Her struggle is fueled on both sides of her family. Her father wants her to be content on the island and is afraid of the sea. Her grandmother loves the sea and encourages her to follow her heart showing Moana their tribe used to be voyagers. 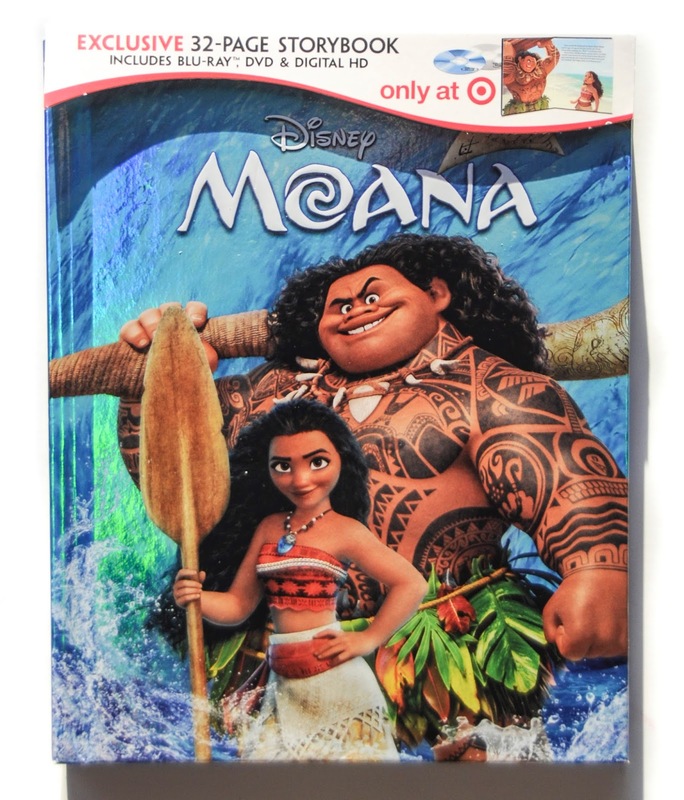 The struggle hits a turning point when her grandmother passes away and tells Moana to go return the heart of the ocean. The heart of the ocean was stolen by Maui a demigod. When the heart was stolen from Te Fiti, the goddess who life in the ocean a darkness spread across the ocean. The only to stop it is to return the heart. In the days that follow Moana shows strength by finding Maui, helping him restore his confidence, learning to sail, and eventually finding Te Fiti's heart herself. She struggles along the way, but eventually overcomes these struggles and confronts the great Te Kā to return the heart. Why did we love this movie? One we loved the story. It is one of the first Disney movies targeted at girls that does not feature a love story. It is genius. Kids do not need to worry about love, but need to learn about finding their purpose in life. It is very similar to Big Hero 6 which also does not feature a love story. I hope more movies come along that feature the main character finding their purpose in life. Brave attempted to do this, but the story was about how she did not need love to be happy which is an abstract concept for a young child. I love that Moana was not about not finding or wanting love, but about finding herself. This is a great movie for kids and adults. I would however not getting the Target Exclusive movie. I thought it featured a removable book, but the book is part of the Blue-Ray case and the case is not able to close. I would suggest getting the standard Blue-Ray or DVD and a separate book. Another reason we loved this movie was because of the music. 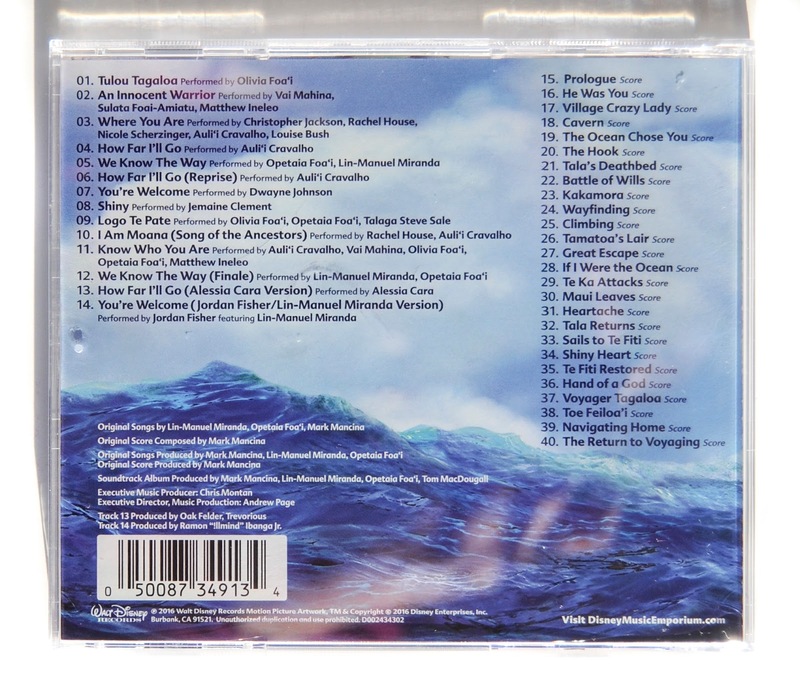 The soundtrack features 40 tracks, 14 with words and 24 with the original score. 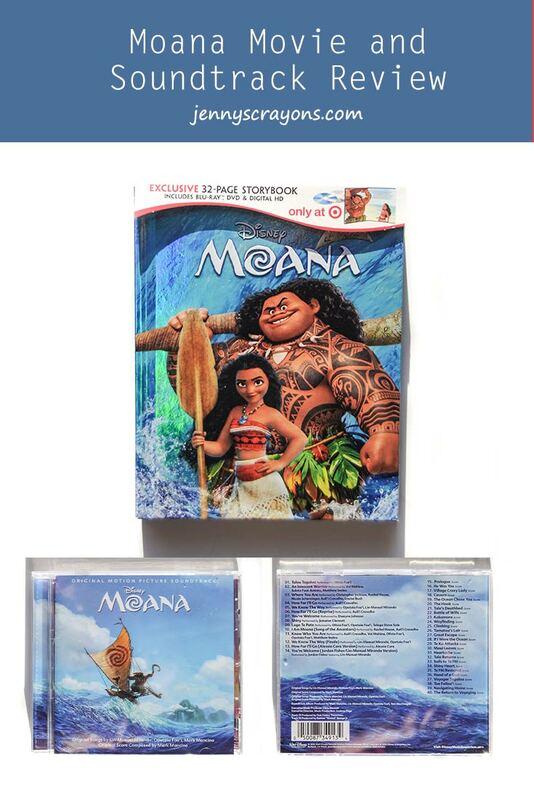 My daughter was wanting to sing this Moana all the day so for Easter we bought her the soundtrack. Needless to say it replaced Taylor Swift's 1989 album in our car and we listen to it all the time at home. I think she likes it better than Frozen. Here is the track listing for the songs with words. My daughter's favorite songs are "How Far I'll Go" and "I Am Moana". My son's favorite songs are "We Know the Way" and "You're Welcome". They both love "Shiny". "Shiny" is the one song that did not fit with the movie in my opinion. It was a tribute to David Bowie, which I get that he passed away in 2016, but he was not Polynesian. It is a fun song to listen to on it's own, but does not fit with the movie. My kids are like the original versions of the "How Far I'll Go" and "You're Welcome". Auli’i Cravalho has an amazing voice and sings great live, see the video below for a live version from Dancing with the Stars. And Dwayne Johnson's personality really fits the "You're Welcome" song and makes it lots of fun. Also I do not know if they like the rapping that is done in the end credits "You're Welcome". I think it is fun and different, my 4 year old however also asks, "Is this the end, can we start again?" at the end credit songs. 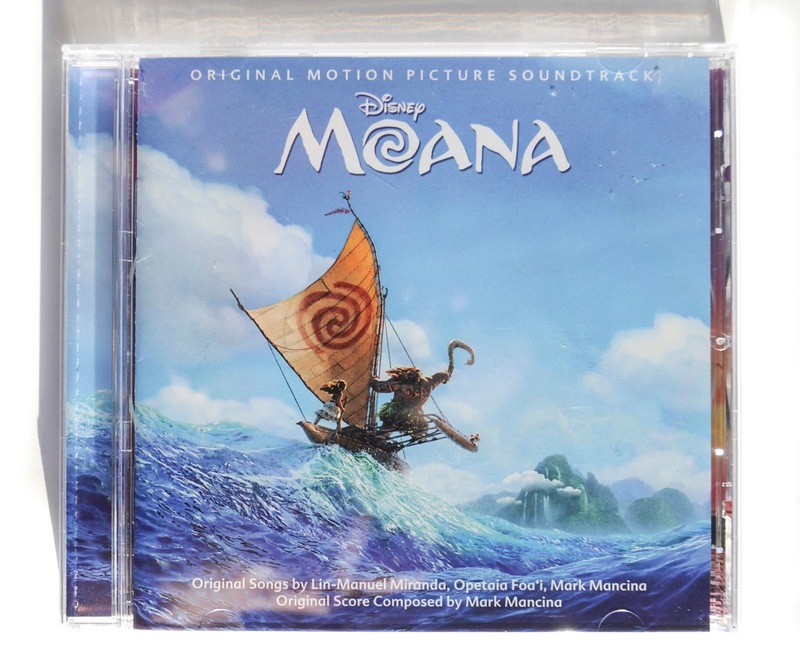 If you have young kids and want something new (cough, cough Frozen) to listen to definitely pick up the Moana soundtrack. It is super fun to learn how to sing all the words in the songs and your kids will love it.